It’s so cool it hurts. One part, Greek island, one part Marrakech, with a splash of Star Wars. 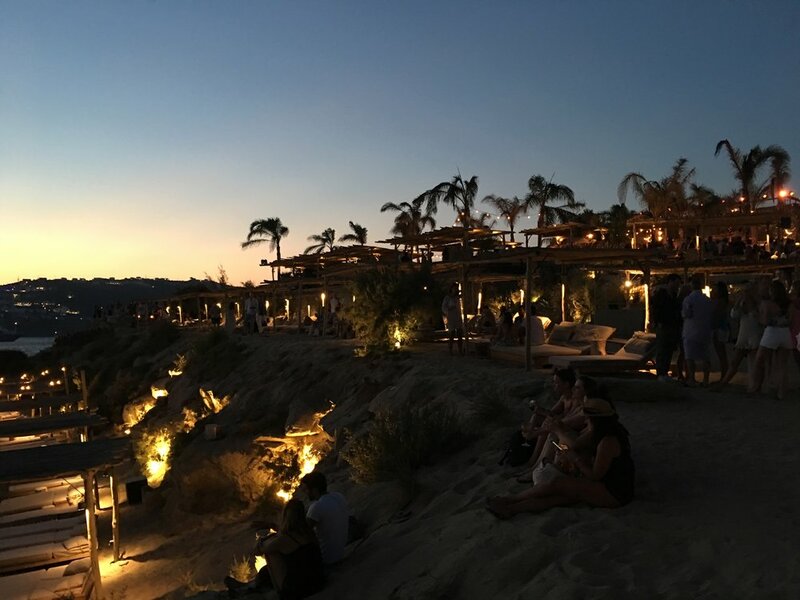 That’s the mixology of Scorpios Mykonos - a series of timber and stone terraces designed to draw in the post-beach, sunset-seeking, nomadic travellers, who are rightly making this place a big success. Consisting of a restaurant, beach, sunset beach, terrace bars and indoor lounge (with rooms available for the total experience, at the nearby San Giorgio Mykonos - be warned, yoga and meditation classes might be compulsory here! ), Scorpios is created with great style and commitment via impressive architecture, and atmospheric, understated interiors. It’s a place where New Age meets Mad Max. A military style desert tent houses fashion by Caravana, designed for girls and boys to drift across the sands of Mykonos (en route to Burning Man, Nevada!) -it is however fashion that might not work in quite the same way on the streets of London, Liverpool or Glasgow but hey - we’re on holiday! 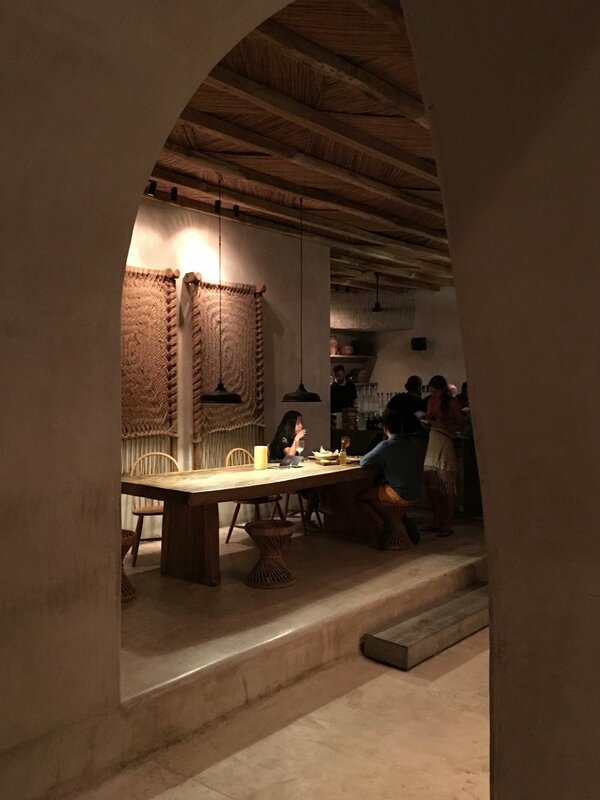 I came away from Scorpios (after two or three spritzers) believing in their own descriptor - “Built around a contemporary interpretation of the Ancient Greek agora, Scorpios is a gathering place meant to galvanise the artistic, spiritual, and social life of the community” - you will too! I think most people leave Scorpios both shaken and stirred - in a very good way.